The Prior Lake Laker Legion Team, after a 20-4 regular season mark under Coaches Bill Reed & Mike Ogdahl, will face Chaska/Chanhassen in a best of 3 Series to take place this weekend.Game 1 will be at Veterans Field of Memorial Park on Friday 7/27 at 7:00PM. Game 2 will be 11:00AM Saturday in Chaska and Game 3 TBD on Sunday in Prior Lake. The Laker Legion also serves up cool drinks, treats and the Tastiest Wiener in Scott County, put on your Blue & Gold & Support Laker Legion Hardball! 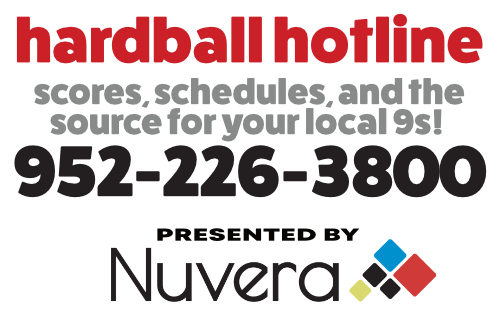 The PL Hardball Hotline 952-226-3800 will have the latest or check http://www.priorlakelegionbaseball.org/index.html for more info on the Laker Legion Baseball Team. UPDATE: Laker Legion bags Game 1 Win Friday on dramatic 9th Inning Homerun by Wasik. More details to follow. GAME 2 (Best of 3) Saturday 7/28 11:00AM in Chaska! Game 3 (if Needed Sunday Afternoon in PL). Previous Post:Mudcats Ready to Go Deep In Playoffs.